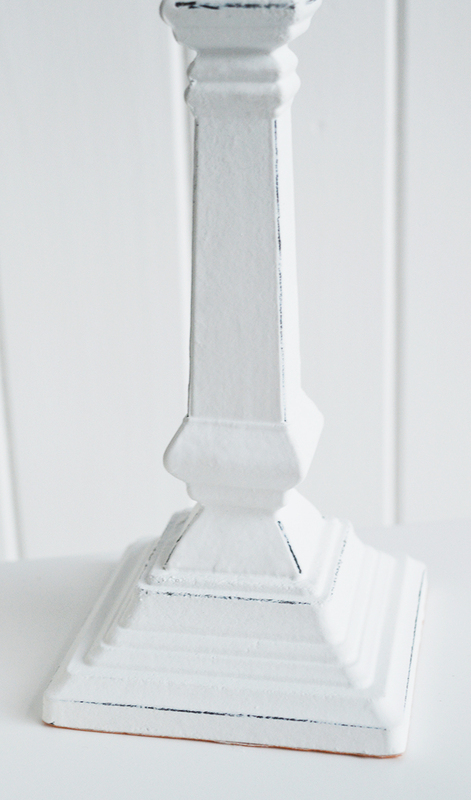 The Hartford small white table lamp with white linen shade. 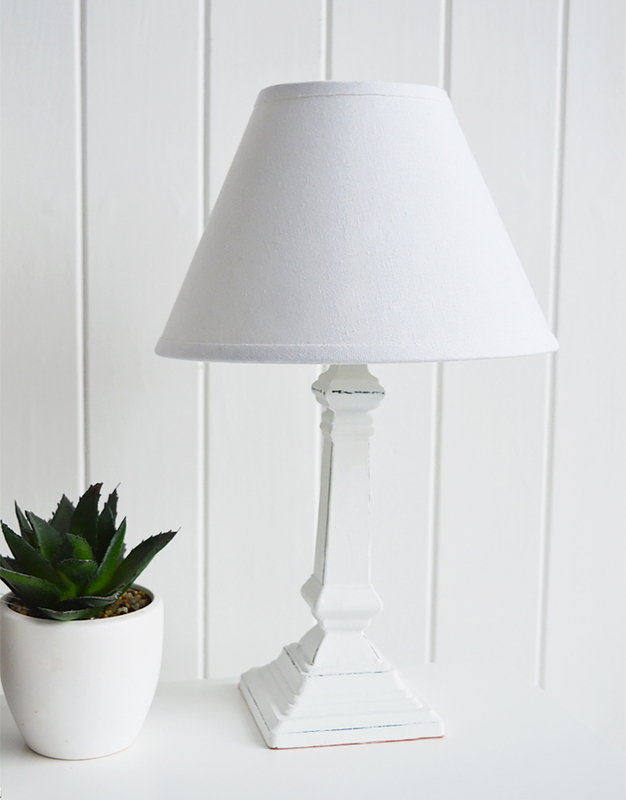 A small white traditional shaped table lamp with a square pedestal base with some distressing to for a slightly more vintage look. 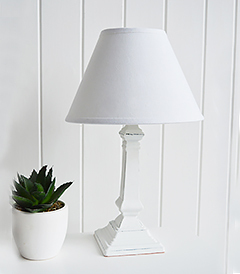 The Hartford small white lamp is an ideal bedside table lamp as well as a table lamp for the living room or hallway.